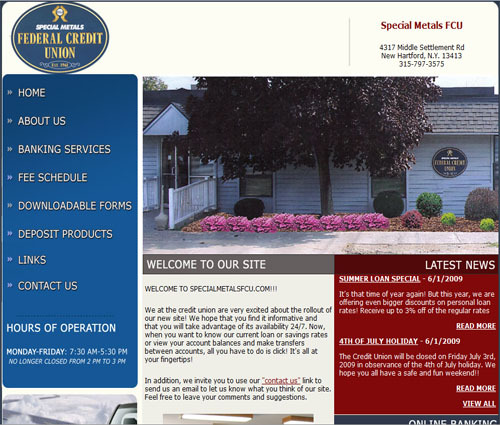 Special Metals Federal Credit Union, located at 4317 Middle Settlement Rd., New Hartford, N.Y., is proud to be in its 51st year of serving its membership! Chartered in 1961, our asset size has grown to $13 million over the years. We serve almost 1200 members, including employees of Special Metals, retirees, and family members of employees.